Shanghai: China's smartphone masses splurged billions of dollars in an e-commerce bonanza on Saturday as consumers rushed to snap up bargains on "Double 11", billed as the world's biggest one-day online shopping festival. Also known as "Single's Day" for the repeated "1" in 11 November, the event launched in 2009 by sector leader Alibaba has become a key date for Chinese manufacturers and retailers, accounting for a significant share of annual orders for many businesses.This year's display of raw consumer power kicked off at midnight and by 10 am (7.30 am IST) more than $16 billion in transactions had been processed by Alipay, Alibaba's online payment system. In 2016, $17.8 billion was taken in gross merchandise value over the full 24 hours — itself up 32 percent from 2015 and roughly equal to the annual economic output of Mozambique. 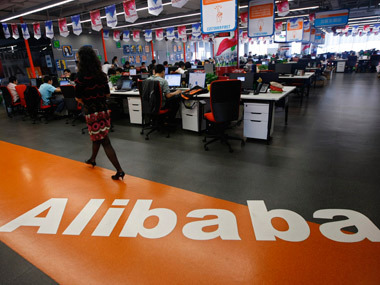 Alibaba said that five minutes after midnight Alipay was processing 2,56,000 payment transactions per second, doubling last year's high-water mark. "At 12.07:23 am, the number of payment transactions processed by Alipay surpassed 100 million, equivalent to the total number of payment transactions processed during 2012," Alibaba said. Around 91 percent of orders were placed via mobile. More than half of China's 1.3 billion people are said to use smartphones and the devices have become central to daily life, used for messaging, shopping, news and entertainment, ordering taxis and meals, and serving as digital wallets for a range of point-of-sale purchases. Double 11's transaction volume is pumped up by many Chinese holding off on purchases of everyday items like rice and toilet paper to take advantage of the price-slashing.Alibaba seized on Double 11 as China's online answer to the late-November US "Black Friday" shopping rush. It found a sweet spot combining China's burgeoning spending power, the Chinese love of a good bargain, and the growing national addiction to one-click smartphone payments. Alibaba is investing heavily in creating an entire user ecosystem encompassing cloud computing, artificial intelligence, and automated stores using face-recognition, and is pushing into overseas markets.